The musical masterpiece created by Stephen Eich (Producer), Vince Falcone ( Musical Director and 10-year musical director to Frank Sinatra), and the show’s star, expert impressionist Bob Anderson, this production tours viewers through various stages of Frank Sinatra’s singing career; in the recording studio, during personal appearances and on television specials. Dedicating more than two and a half years to mastering Sinatra’s persona, Anderson doesn’t simply resemble the icon, but for the show’s 90 minutes, he fully embodies the singer’s character. But it’s not merely the fact that Anderson’s croon is identical to Sinatra’s, his suit is seemingly pulled from the legend’s wardrobe, or that he plays with the golden microphone’s cable with mannerisms one and the same to his subjects’, but finalizing the impersonation is the 2-hours worth of transformative makeup by Oscar-nominated makeup artist Kazu Tsuji that, all together, give us back the timeless musical genius… complete with a glass of whiskey in hand… for an evening. 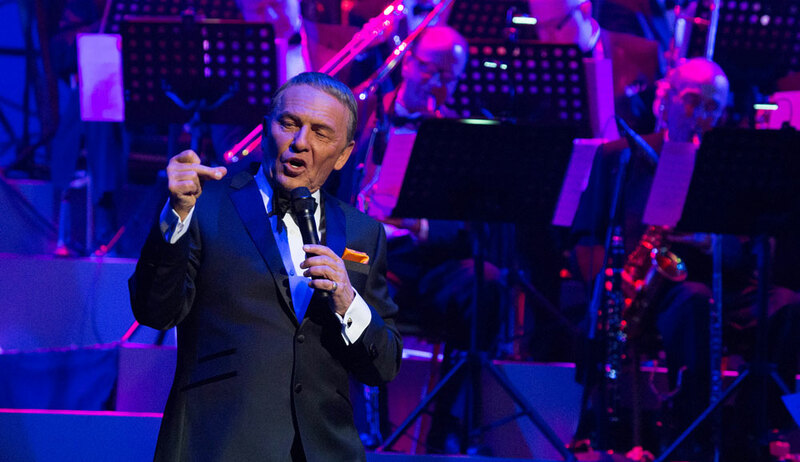 However, even if your favorite Sinatra track is not played out in full during the show, just wait for the set finale when Anderson sings his way through a compilation of classics that each get a little bit of performance attention. 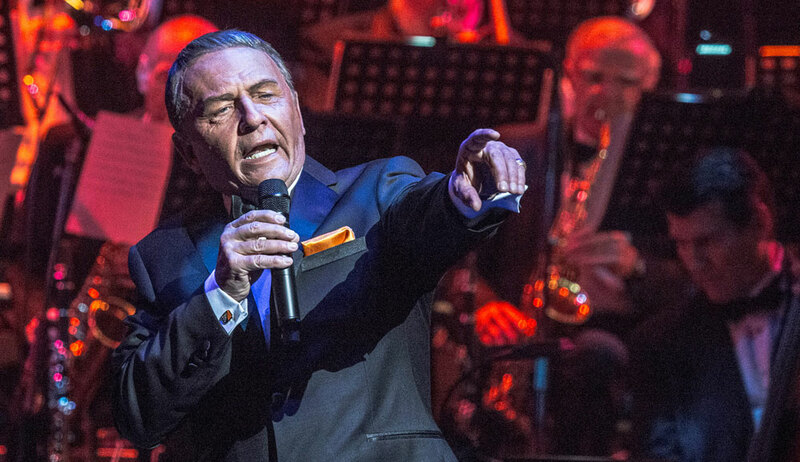 With nearly 50 percent of the orchestra having played for Sinatra in the past, and with simple lighting effects that illuminated the scalloped-curtain backdrop and a just a touch of fog, the audience experiences a night of entertainment set in the mid ‘70s. 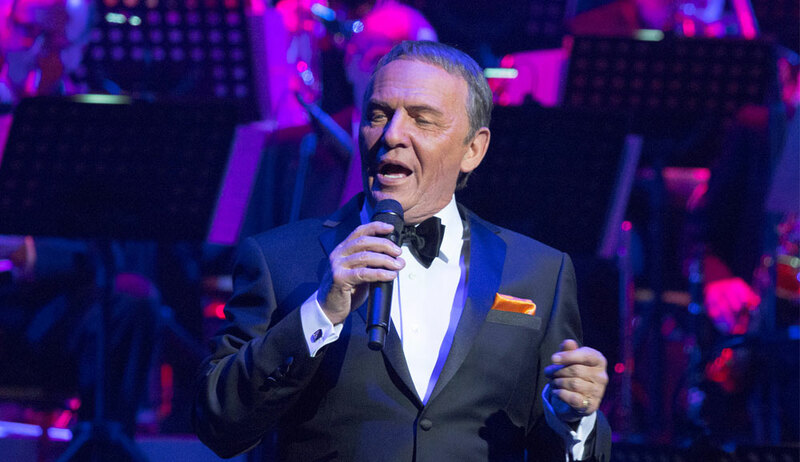 With clean and authentic entertainment, whether you claim Sinatra is a defining childhood memory or if you’ve simply appreciated him from afar, “Frank – The Man. The Music.” is as real of an experience as ever that is enjoyable for devoted fans and newcomers alike.